Hi everyone, my name is Kevin Oliver, Associate Professor of Instructional Technology, and one of the co-instructors for the Writing and Technology course. 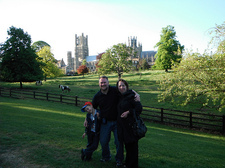 2013 will make my fourth trip to England in the past three years, and I am just as excited as the first trip! England is beautiful with so much to see! I have been teaching at NC State for nine years, but have only recently collaborated with colleagues on this course, investigating ways to inspire writing through cultural immersion, and use technology to merge collected media and written works into multimodal artifacts. I am excited to see the creative new products from our 2013 class! I will be inserting various artifacts and reflections below, as our course gets under way. My 2011 reflections are archived below as well. Sample photo strips created by combining single digital images into "skyscraper" or horizontal graphics using the online photo editing application, Pixlr. Sample Glogster page incorporating a variety of formula poems, as inspired by imagery from a Memorial Day trip to the North Carolina mountains. Here's a sample "Where I'm From" poem merged with photos using the Prezi presentation editor. Last day in England! I took one final train into the greater London area, and met up Larissa and her son at Kew Gardens. Very impressed with the Kew Gardens underground stop just north of Richmond--lots of little cafes, shops, high dollar townhomes, and even a whole foods store called Oliver's Whole Foods. RICHmond seems to live up to its name! After spending the prior day at Wisley Gardens, I was under-impressed with Kew. The brochure did not disclose the entire garden was on the approach to Heathrow airport with landing gear down, so about every 15 seconds another 2-4 engine jetliner was flying just overhead and interrupting any conversation you were trying to have. It was far from idyllic to say the least. Too much walking too--about 300 acres in all, most of it in meadow and forest, and not a lot of flowers like Wisley. Would definitely recommend folks visit Wisley before they visit Kew. The coolest thing about Kew was the treetop walk about five stories high, walking around catwalks strung between trees with see-through mesh flooring. Certainly got the blood pumping! My friend's five-year old son had an eventful day screaming in the whisper-quiet botanical gallery (oops!) and jumping into the perfectly raked gravel at the Japanese gardens (oops!). A spirited little sprite! After walking until I felt like a classic English zombie again, I took the train back to the University of Surrey for our wrap-up banquet with catered vegetarian lasagna and pork loin. As if we needed one more reminder, did I mention the English can't cook? ;-) Thanks to Sara for putting together a song in honor of Ruie and a collage with everyone's photo to help complete the banquet. After dinner, the students pulled together and helped pack up all of our kitchen supplies and went their separate ways to finish packing their own items. I think a few teachers also snuck back to Chancellor's Pub on campus for one final pint! Cheers! Early bus to Heathrow at 7:30 tomorrow morning for our 11am flight. Great adventures in England, but It will be VERY nice to get home! It's our second Friday in England, and we have two full days left to enjoy before the flight home on Sunday morning! Today I took the coach a few miles north of Guildford to the Royal Horticultural Gardens at Wisley (RHS Wisley). I was awestruck at the hundreds of acres of manicured beds, borders, and lakes. Upon entering, you are first taken to a 100 yard swath of borders on both sides of you arcing up a hillside, and over to fields of trial beds in every color under the rainbow. The English may not be the best cooks, but good Lord, they can plant a garden! Really enjoyed poking in and around the model gardens with assorted water features, sculptures, glass houses, and varied paver designs. Can pick up some great ideas here! The large glass houses opened by the Queen were very nice, and the wildflowers surrounding its lake were unreal. I can't begin to imagine the work it takes to plant and keep up such a place. I've never seen anything quite like it in the States. I returned to Guildford and met up with Ruie at Matahari for some good Japanese-Thai fusion which seemed to be more like Chinese since I ordered Kung Pao Chicken? Anyway, it was good, and we had a nice quiet table upstairs by an open window with a cool breeze. Enjoyed a brief stop at the Guildford Castle next door, and marveled once again at the planted flower beds. Guildford apparently won a "Bloom Britain" national competition, and it shows. The Guildford Castle is thought to date to the 1100s when William the Conqueror took over. Interesting place, and a nice view of Guildford and the Surrey countryside from the top tower. Ruie and I had a nice chat with a couple of English students from U-Surrey on the tower. Counting these guys, that makes three different groups of Brits who have expressed gratitude to us Americans for voting in Obama and getting rid of the likes of Bush! Apparently Republicans aren't very popular in Europe! Ha! It was nice to see the old folks playing bocce on the manicured bowling lawn just north of the castle. Looked like fun! After a little shopping, we headed back to campus to rest a bit before dinner. Going to try Jamie Oliver's natural foods restaurant tonight that all of the students have been raving about. Should be very good! All in all, a nice cool day of blooms, good company, and good food! Today was our fifth and final day of class at the University of Surrey. The students were walked through a couple of additional writing prompts in the morning, and then began sharing their technology projects from the past week and a half of work. We broke for lunch to take a ride on the flat bottom boat, Alfred Leroy, up the Wey River and through old locks built in the mid-1700s. 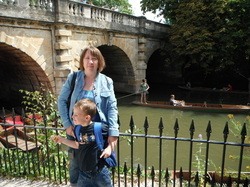 The canal system is very cool, but our boat was a relic that looked to be one duck-peck from sinking to the bottom! Scary stuff. The catered lunch was pretty good, consisting of salad, baked potatoes, and quiche. No salad dressing or butter was forthcoming, however, nor the dessert Ruie ordered, so everyone left a little hungry. Back in the classroom, the students finished the day by sharing out a few more projects, and by filling out a slew of course evaluations and technology assessments required by various constituencies--the instructors, the university, and the grant. Today we had our fourth day of classes in Surrey. The students worked on another collaborative writing activity this morning, and Donna talked about another writing form, the "six word story." Since we're working with a lot of media in this class, she went over some copyright principles and walked everyone through some scenarios. Next, I presented some sample ToonDoo comic strips that could be applicable to English Language Arts, and some of the students shared ideas for how they are using the ToonDoo comic strip tool to aid writing in their classes. The students spent the afternoon creating basic scripts and ToonDoos to embed on their Weebly pages. My sample ToonDoo is embedded below as an example. The day ended with Megan and Donna and some pricey spaghetti at Strada Italian restaurant in downtown Guildford. Today the class took coaches over to Chawton to visit the Chawton House Library and the nearby Jane Austen House. The library was first, tucked off the main road in an idyllic setting among horse and sheep pastures and beautiful tiered gardens in the back well manicured for weddings and other outdoor events. The library was apparently the brainchild of an American benefactor with deep pockets courtesy of the Cisco software corporation. It is in place to archive books of little known female authors and to provide for a place of research. The house was very old, dating back about 1000 years to when William the Conqueror bequeathed several thousand acres and estates to his friend. The Knight family apparently owned the estate for centuries, and eventually one could not produce a male heir, and so bequeathed it to the brother of Jane Austen, Edward. The newly rich Edward put his mother and two sisters up at the Jane Austen house down the road in the village of Chawton. Jane wrote most of her books in that house, and took sick not long after and died in the nearby town of Winchester at the age of 41. We had a nice visit to both estates, and must say the lesser known Chawton House Library was a fair bit more interesting than the Jane Austen House. A catered lunch was had at the Greyfriar's Pub in Chawton, which consisted of bland sandwich triangles and not much else! I guess catering in the UK has a different outcome, although the cakes and tea served at the Chawton House Library earlier in the morning were the bomb. A quick coach ride back to Guildford ended the short day, with a brief stop at a gas station for ice cream on the way home. Today's temperatures got up to 82 degrees, which is the warmest day since we've been here. The dorms are a bit toasty with no a/c, as are most restaurants, pubs, coaches, and tourist sites. We're hoping the temps go back down tomorrow! Monday, and another free day. I traveled into London again and met up with my friend Larissa at Notting Hill Gate. We walked up Portobello Road through the market area and lots of tiny shops. Very nice area--a lot quieter than central London shopping and much preferable to me. We saw the theater and the travel bookshop from the movie "Notting Hill." After some light shopping, we hopped on a bus to Kensington and had a nice lunch outside at a small Italian restaurant. One of the best meals I've had in England, and one of the cheapest too! A great combination! We worked our way over to Kensington Palace and walked up Embassy Row where there were signs posted for "no photography" and lots of police with machine guns walking around. The Israeli Embassy had blast walls in front of their compound--interesting. Kensington Palace was across the street from the row of embassies. We used another railway two-for-one deal to enter. It was a great disappointment, as the palace was under reconstruction. They allowed you to see some of the state rooms, but there was almost no furniture or furnishings in place, just paintings. They had converted the rooms into some sort of "enchanted palace" exhibit that reminded me of a haunted house with eerie music, ghost queens shooting down the stairs, recordings of kids laughing in a darkened corner, illuminated busts in a dark room. Yeah, pretty weird stuff for a royal palace! Who was smoking crack and came up with this?! Well, at least it was half-price! It was a rather hot day by UK standards, so we sat out on the lounge chairs by the round lake in front of Kensington Palace, and watched the swans do their thing. The day continued with a bit more traditional shopping at Harrod's. The Globe Theatre model occupied by stuffed bears was kinda cool, and the Princess Di and Dodi shrine under the escalators. The food halls looked delicious, but we only came away with a few pieces of chocolate. We wrapped up the day by taking the tube to Picadilly with seemingly hundreds of thousands of tourists--too crowded to enjoy. We went in the Fortnum and Mason store which reminded me of Southern Season in Chapel Hill (i.e., overpriced foods for stuffy people). I ordered some sorbet and a smoothie in "The Fountain" and forked over 15 pounds. My entire Italian lunch in comparison was 8.95. Did I mention "overpriced"? We also ran by Hamley's Toy Store on packed Regent Street before calling it a long day. No dinner tonight--Fortnum and Mason took care of that! Note to self--avoid Picadilly at all costs! The train ride back to Guildford at 7:15pm was packed with commuters and incredibly hot. The sweat literally drained from every pore on my body. I feel like I'm the only one who is hot, because the English riders just sit there with their suit coats and heavy raincoats on despite the heat. I don't know how they stand it. I ran into Megan and Donna back in the dorms, and they were scorched as well. We all had to take showers to cool off. I guess you get used to the constant temperature swings from hot-cold to hot-cold, but I don't know how. Glad to be spending the next three days in and around Guildford. The commute to London every day is tiring, and I've done it enough! Today was a free day, and I traveled with Megan by rail to Waterloo Station. After looking for the right bus route and then the entrance to Waterloo tube station for about 30 minutes, we returned to Waterloo Station and found the RIGHT tube lines to take us to the Tower of London! The Tower of London was similar to another of the royal palaces at Windsor, except it was more like a museum whereas Windsor is more of a working castle with state rooms and the Queen in residence. Lots of tourists once again, but not as bad as Oxford by a long shot, except for the RUDE Spanish tour group in line for ice cream. ;-) Saw the crown jewels with all of the coronation garb, and walked up and down narrow spiral staircases in about 8-9 towers were various political prisoners had been held, tortured, and/or executed, with various carvings on the wall. After about 6 towers, they were starting to run together! Who was killed in this one? We left the Tower and bought a pass on the Thames River cruise boat to sail back to Westminster, then took the tube back to Waterloo, and the rail back to Guildford. We found out at Waterloo that you can pick up 2 for 1 attraction vouchers and get in most London attractions for half-off if you take two people and show the ticket office your rail pass. Saved Megan and I 20 pounds off the Tower of London admission, and another 6.50 off the Thames river cruise. A great deal--hope folks find out about that! Susan and Cindy suggested having a potluck on the hill above our dorms tonight, and we had about 11 of the students come to that. A good time on a beautiful Sunday evening with the cathedral bells ringing in the distance, a light breeze rustling the leaves, sunny skies and 70 degrees, and a nice view out to the town of Guildford. We sure will miss this picture perfect weather in North Carolina next week! A couple of videos of today's adventures are embedded below. Back to London tomorrow--another free day to travel. Today we had our third day of class. The students worked on a writing activity in the morning titled "postcards from home," and then in the afternoon they wrote to one of the three writing modes introduced and turned their writing into Prezi presentations. 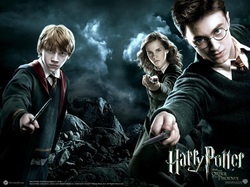 After class, I went with a group to see the new Harry Potter film at the Odeon cinema in Guildford. A few differences were noted between the cinema in the U.S. and the cinema in England, namely they assign seats when you buy a ticket, and you can get salty or sweet popcorn. The seats were also really upright for that perfect English posture, not reclining an inch, and they were extremely narrow so as to be comfortable only for skinny people. Interesting that something like seat style and width could vary so widely from country to country. Another thing I didn't like about the English cinema was the 30 minutes of television advertising they showed at the beginning of the movie. I've never seen so many ads in consecutive order! Pretty bad to pay 12 pounds (almost 20 dollars) for a movie, and still have to watch commercials! They did have one amusing deodorant ad about premature perspiration, though. Too funny! Back in the dorm now for an early retire and the exciting dinner of warmed up campus pizza! Most of the students seem to be out on the town for an active Friday night. Pretty quiet around campus. 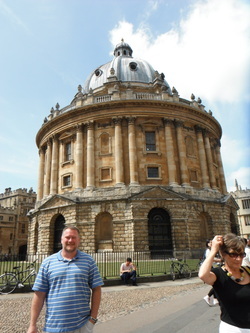 We're up early again tomorrow for a field trip to Oxford with international students studying Engrish at the university. Can't remember what it was like to sleep in! Maybe Sunday! Another great day of touring in Hampshire County. We started with a coach ride to the town of Winchester. Took in the historic architecture and market on the main street, then toured the Winchester Cathedral dating to 1079. Wow, seriously old stuff! Impressive stained glass windows, and we saw Jane Austen's tomb under the cathedral floor. Also enjoyed the nice gardens behind the cathedral, followed by a short walk up main street to the ruins of the Winchester Castle. There was a mock-up of King Arthur's roundtable in the great hall. Ended up eating lunch at an American place named Buddy's that served hamburgers and had license plates from around the states hanging on the walls. After Winchester, we took off on the coach to the seaside town of Portsmouth, enjoying the fields of gold/grain along the way with a little soul and Sir E.J. for accompaniment. Beautiful countryside! Took a harbor tour in Portsmouth under the cool Spinnaker Tower with glass floor to look straight down and by all of the naval vessels in "her majesty's" fleet. Arrived back in Guildford by 6 for a pint (or maybe two) at the campus pub, and most of the students seemed to settle into their rooms early to work on class assignments. We finally have internet in our dorm rooms! Thank you Surrey! A busy first day in London for the class! We took the Southwest Rail Lines to Waterloo Station from Guildford, then a bus to Bloomsbury to tour the Charles Dickens House. The Dickens house was so-so, without very many artifacts to view. They seemed to be in the midst of a renovation leading up to next summer's Olympics. Oh well. The class split up from there in all directions. Our sub-group took off through Russell Square to the British Museum, taking in the Rosetta Stone and assorted mummies England "borrowed" from Egypt. Next stop, the Plough pub for a quick pint, then off on the walking tour from hell... Leicester Square, West End theater district, Trafalgar Square (London was having a big kick-off party here for the one-year countdown to the Olympics), Horse Guards, Downing Street, Big Ben and Palaces of Westminster, Westminster Abbey, Buckingham Palace, and back to Trafalgar Square for a nice dinner. Hopped on the Tube at Charing Cross and made our way back to Waterloo Station for the train ride back to Guildford. The woman sitting behind me on the train must have had the bubonic plague. I swear she was sick as a dog. Consider staying home? Thanks for the bacteria! Our feet were bruised today to the point of contemplating a spritz in the toilet! No tubs in our dorms! Day two of class. Spent the morning working on a Google Docs collaborative activity, then heard a lecture on "pub culture" by Donna Morrow's husband Gareth. With a list of local pubs in hand, everyone took off for an extended lunch to grab a bite and take some digital images of pubs. In retrospect, it may have been a bad idea to return to class after a pub walk, but Gareth gave another interesting presentation on Dickens in preparation for our trip to the Dickens House in London tomorrow. Tonight I think everyone is feeling tired after the first day and a half of initial excitement, and is now winding down from all the travel and all the walking. Or maybe I'm projecting--it's just ME feeling tired and "heavy" from all the "chips" and "bacon"! I think two straight days of pub food is plenty for the two weeks here. Need to find some better dining options! Unfortunately, no passwords have been forthcoming for our dorm rooms from the University of Surrey yet! I guess everyone will be back at Chancellor's Pub tonight to Skype back home and complete homework. At least the students are getting in more social time by not having Internet or TVs in their rooms! What was the line from "Oliver"? Please Sir, may I have more Internet? Monday, first day of the study abroad course! After an early rise and a run-in encounter with the extra large rat living in our dorm kitchen, we had our first "taste" of an English breakfast with bacon that looked more like country ham, eggs with soggy yolks (gross), and baked beans (also gross). We made our way to Building AC after some searching and began the course with a few writing activities. 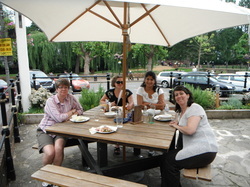 We took a break for lunch with everyone taking pictures and video clips of sites around campus and downtown Guildford. The afternoon was spent in lab with everyone creating Google Maps to document their places visited today and into the next two weeks of travels around southern England. Went to the Three Pigeons pub in downtown Guildford for dinner with the traditional fish and chips and a couple of pints. Good stuff. Finished the day back at the Chancellors Pub on campus to Skype back home and check some emails and Facebook. The campus IT staff still hasn't provided anyone with user IDs or passwords to use the Web in our dorm rooms, so the nightly ritual of everyone coming out at 9 or 10pm to check email and Skype back home seems to have taken root. Maybe tomorrow we can convince them it would be nice to have the Internet in our rooms, especially when some of us (me) are teaching an online course back home! Some pics of the dinner stroll downtown are included below. Guildford is a really nice, traditional English town. Great architecture! Well, we made it! Seven and a half hour flight, about 2 hours working through customs and transportation at Heathrow, and finally to the University of Surrey via our Beeline bus service. Pictures of our arrival, dormitories on campus, and orientation to a few campus landmarks are shown below. I was happy to find the Chancellor's Pub on campus a few minutes walk from our dorm, which seems to offer low-cost eats and several ciders on tap! The "one-mile walk" from our dorm to the Tesco for groceries, however, turned out to be a bit farther than advertised. But we have a few eats in our dorm fridges now to get us through a few days of lunches without eating out. After about 1-2 hours of sleep on the crowded, red-eye flight, I finally caved around 3pm this afternoon and took a 90-minute nap. I'm uploading my first photos and typing this up back at Chancellors, where we can access the campus wifi network (and ciders!). First day of class tomorrow. Without an alarm clock in the dorm, not sure how I will wake up to make the 7:30-9:00am breakfast slot tomorrow, but the bright sun will probably do the trick. Our dorms don't have a/c, but today has been picture-perfect with blue skies, sun, about 70 degrees, and a nice occasional breeze. A welcome relief from the heat wave from hell that is pummeling Raleigh right now. I need to find a summer home in the UK to escape Raleigh's summers, exchange rate be damned! Okay so the picture of the day is in the album below... a condom ad pasted to a communal towel in the Chancellor's Pub men's room. An English oxymoron! And they wonder why all the zombie outbreaks start in the UK! Disease! I look forward to traveling with the group to England. I've only been to Europe once in my entire life, and that was this past May to London with Dr. Pritchard to help plan for the group trip. We had a great time, and I was awed by the history of the "mother country." 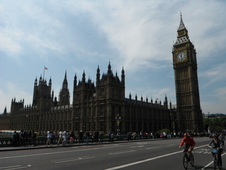 I saw a lot in London (British Museum, British Library, Westminster, Buckingham Palace, Horse Guards, St. James' Park, etc. ), took a clipper boat down the Thames under Tower Bridge to Greenwich, rode a coach out to Windsor Palace, took the train up to Cambridge and Ely to meet a 20-year pen pal and her family for the first time (shown at left), wandered the gardens at Hampton Court, and took in some pub culture with draft cider and fish and chips. Can't wait to see more on the next trip--Kew Gardens, Notting Hill, Camden Town, the possibilities are endless.